“What’s new this week Dan?” Well, I’m glad you asked me that question. I’ve been busy as ever getting up to all kinds of open source and Linux related shenanigans (Love that word and it’s criminally underused). 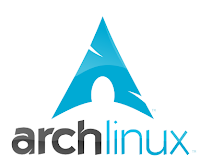 I’ve been testing out Arch Linux finally after much delay and procrastination. It’s gonna be a few days before the review is ready I’m afraid but it’s been really interesting so far and with the help of the very well written documentation, I’ve got Arch installed with a Gnome desktop. There’s still a lot to do and I hope to get into that tomorrow but I’ve been busy testing a few things this week so far. So it’s the big day then, Ubuntu 8.04 Hardy Heron LTS (to give it it’s full title) is out and ready for download. The servers may be busy as there’s a bit of a rush on but if you’re interested you can go and get it RIGHT NOW! I’ll write up some thoughts on Hardy and probably publish before the weekend, just to those of you unfamilar with my superhuman abilty to avoid work, “probably” means “probably not” in this case ok? I’ll do my best though promise. For now it’s back to fiddling with this Arch install and trying to get everything working before the review of doom ™ watch this space, not for too long without a break though or your eyes will get sore. Take care and remember to keep it open source, you know it makes sense. 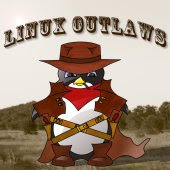 ‹ Review: Dream Linux 3.0 – Is It Really A Dream? I, too, need to write a review of Ubuntu 8.04. I installed it on my HP laptop this morning as well as a faculty member’s Asus EEE PC (off a USB jump drive), and so far it seems REALLY slick. They’ve tuned up the 3D Desktop effects, and wireless is working well, and I hear that standby works decently (though it’s slow to wake up). Took most of the EEE’s hard drive, but I think the owner will be well satisfied. I’m be really curious whether you two are having the same problems after a fresh install of the final version of 8.04. Also, as part of my own fanboyism, I feel it bears saying that the point of an LTS version isn’t to introduce a ton of new features, but to really mortar in the old features, get them solid and stable, and everything playing well together. Looking forward to 8.10, we’ve got some really nice new features coming (full graphical overhaul? ), but I guarantee that it’ll be less stable. The decision to have Firefox 3 beta is, as you noted, controversial, but I can see their logic: since this is LTS, they put the next version on now so people aren’t surprised when it comes out in short order, and instead people can keep using the same browser over the long term. Can’t wait to get my lappy home and see if my camera works again (it worked in Feisty, did not in Gutsy).